RONALD JAMES: i'm now becoming an animal lover. kunun la. Hi readers. i am again writing a bunch of craps which probably no one would even wanna read. By the way, this time I just want to show you my two kids. :) jeng3. 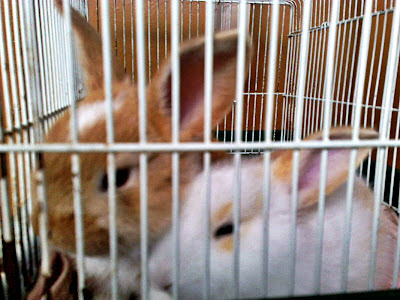 I bought them fortnight ago, where there were still baby bunnies. 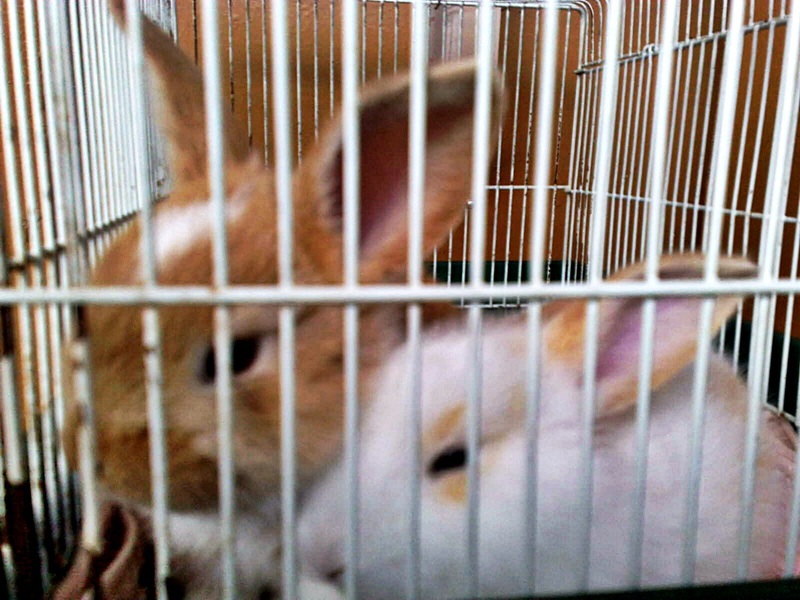 I used to keep them in a cage, that had been kept in the store for a long time. It sounds silly that I mostly spend my time at the hostel especially during the weekdays so I let my lil brother to take care of them. I feed them with rabbit pallets which can be obtained at the pet shop, or vegetables and I give them plain water as their drink. sometimes, I’m not that comfortable with the revolting smell of them but if you see the way they eat, jump or lick, that probably would not a problem anymore. So those who plan to keep pets, I advise you to make them as part of your life. don't you think they are pretty damn cute, right? do pray for them, so my "kids" would live healthier.